Day hike to Bondcliff via Lincoln Woods / Wilderness / Bondcliff trails. 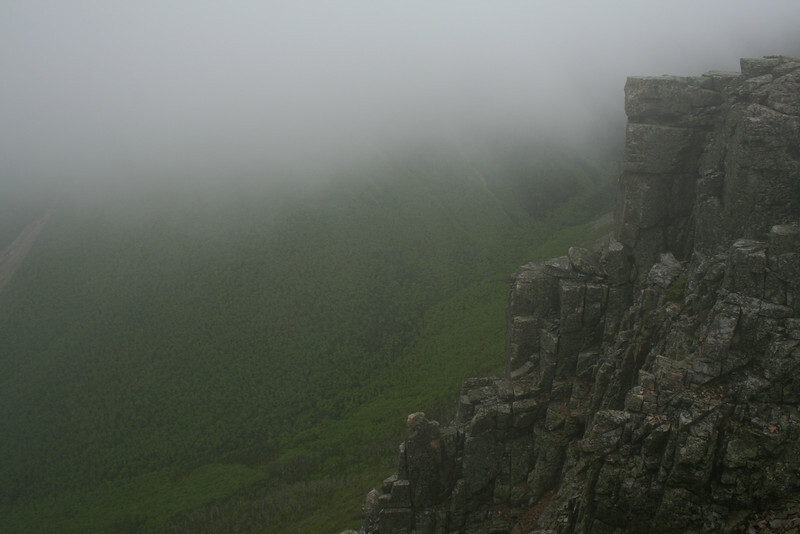 Bondcliff summit was in the clear, but most surrounding peaks (even Owl's Head, whose summit is 240 feet lower than Bondcliff) were in the clouds. After the Bondcliff hike, drove to Franconia Notch and hiked a mile or so up the Falling Waters Trail to see the waterfalls. After the rain during the week, the falls were flowing heavy.